Inspired by this question here, not sure about the LOTR novels (no copy of my books with me) but, in the movies Gandalf touches the Ring once after Bilbo drops it, and gets a vision immediately of Sauron's eye. 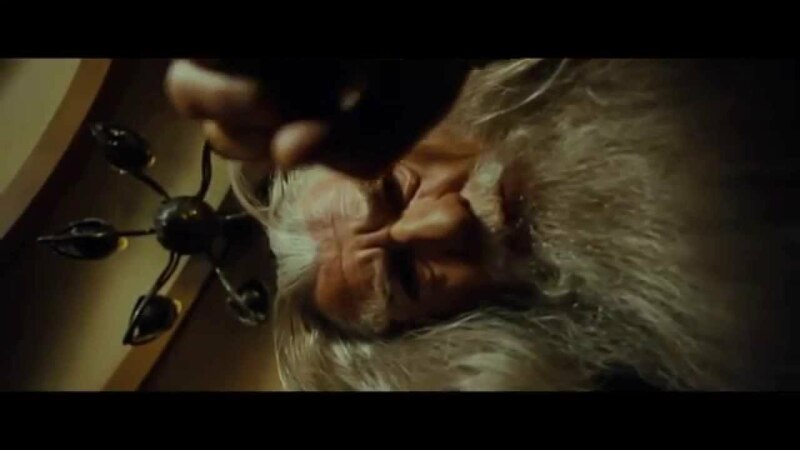 And later when Frodo returns and after Gandalf throws the ring in the small fire, he uses tongs to take it out [see 0.46 seconds in vid] Does this happen in the novels or does Gandalf only touch it once as it is in the movie? How many times did Gandalf touch the Ring in the novels then? Over at a Tolkien forum somewhere a user said Gandalf touched the Ring while changing its' chain in Rivendell in the novel--- is it true as well? He unfastened it and handed it slowly to the wizard. It felt suddenly very heavy, as if either it or Frodo himself was in some way reluctant for Gandalf to touch it. Gandalf held it up. It looked to be made of pure and solid gold. For a moment the wizard stood looking at the fire; then he stooped and removed the ring to the hearth with the tongs, and at once picked it up. Frodo gasped. Both incidents happen in The Shadow of the Past. And yes, Peter Jackson's version of Gandalf using tongs is accurate. Some (as you have stated) may argue that Gandalf touched it thrice: the last time being at Rivendell. However, there is no proof of this at all. In fact, we are not told who had changed the Ring's chain. When he had dressed, Frodo found that while he slept the Ring had been hung about his neck on a new chain, light but strong. Slowly he drew it out. Bilbo put out his hand. Not the answer you're looking for? Browse other questions tagged tolkiens-legendarium the-lord-of-the-rings the-one-ring gandalf or ask your own question. How many times did Frodo wear The Ring in all movies/books combined?